It can sometimes be hard to find the best laptop cooler for you, but fortunately we are here to help! 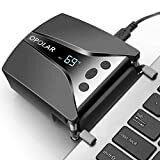 Laptops have replaced Desktops as the dominant form of personal computer, yet with this rise in compact and mobile technology, many people are suffering from hardware and performance issues. The reason for this is simple. To keep up with demand laptops have stuffed full of increasingly powerful, hotter components. Despite this technological rise, internal laptop cooling methods have not increased inline with this technology. Unless you are paying top dollar, chances are you will still be using the same kind of fans which appeared in the very first laptops. Some more expensive laptops use heatpipes to help transfer heat away from danger areas, but even after that, there is no new technology actually removing the heat from your laptop, just distributing it. Hopefully you have a better idea about what you want from a laptop cooler now. You may have even found the best laptop cooler for your need in the list above. If you didn't find the laptop cooler for you, don't despair though, looka t some more fantastic notebook cooler reviews! 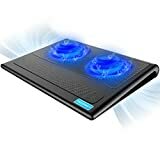 When you are looking for the best laptop cooler you need to consider several factors. Depending on your laptop and needs, you may want a portable or a heavier, heat dissipating laptop cooler. 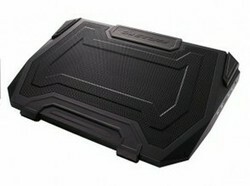 The actual size of the laptop cooler is also important, you dont want ti to be too large, or too small for your laptop! Zalman notebook coolers tend to combine lightweight and high performance with high quality brushed aluminum suppported by a sturdy plastic base. The Fans in a laptop cooler are very important. From three high powered fans, to a fanless laptop cooler. 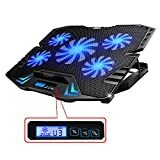 The size, quality and speed of your laptop cooler fans can determine how long your laptop cooler it will last, how quiet it will be, and how powerful it will be. 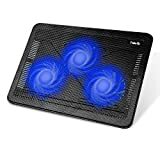 If you are a gamer, you will want plenty of airflow, if you use your laptop for work, you will want something a little quieter. I would however always suggest buying a laptop cooler that includes fans since passive coolers don't really provide much benefit. Some laptop coolers are made specifically to sit on desks, others are designed to lay on your bed, or in awkward areas around the home. Choose the laptop cooler that is design for how you use your laptop. Also don't forget about looks. there are plenty of great laptop coolers that look too dull, or too techie for many. If you are in an office, you would love a Zalman 3000, but an Antec 200 would definitely look out of place. Lightweight, sturdy and able to go online, that's the basic feature list of a back to school laptop for teens, so which laptop should you get? Netbooks for kids work really well. These small laptops are ideal for smaller hands and a make a great choice as a first computer for a child. My son loves his netbook.